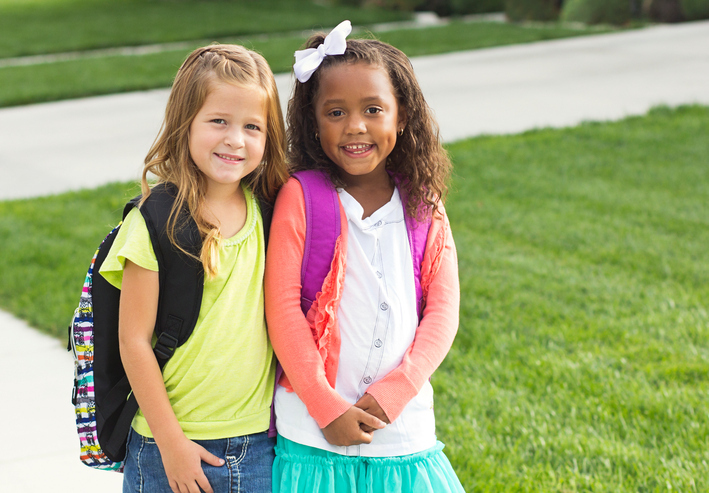 A backpack should never be filled with weight greater than 10 % of your child’s weight. 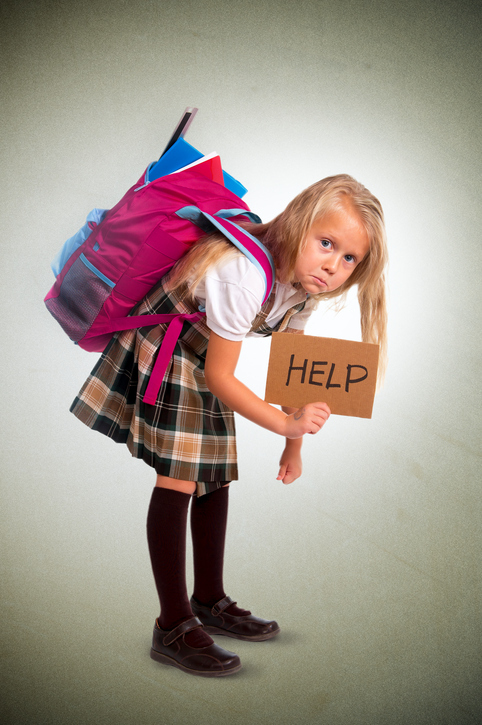 For example, if your child weighs 70 pounds, the backpack should not be heavier than 7 pounds! Many times, kids can over fill backpacks with books, binders, and other school supplies. Make sure the essentials are in the backpack, as to prevent back pain or poor posture routines. The backpack should sit just above the hips and buttock area and snug against the middle back. Show your child how the backpack should sit, and teach them how to adjust the straps. Some backpacks also have a waist strap. This strap is designed to fit snuggly over the hips and NOT the waist. This strap is meant to help decrease loads on the lumbar spine. Encourage good posture all the time! If you notice your child is walking with bad posture or carrying too much, remind them not to! Reinforcing good posture habits is the first step to preventing lower back pain. If your child does start to report pain in his or her back, contact a physical therapist to assess your child. They can help determine if further tests or healthcare professionals should be involved. Often times, fixing posture and strengthening muscles is the key to reducing your child’s back pain. Can Breath Training Improve Your Health?